When Super Mario Bros. got bundled with the Nintendo Entertainment System it took over gamers lives for a while. 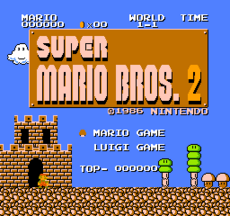 If you live in the US or Europe you got a different Super Mario Bros 2 than the one that got released in Japan. In 1993 however in the Super Mario All Stars game collections came out and you could play Super Mario Bros Lost Levels the Japanese version of Super Mario Bros 2. This game was deemed too hard for audiences outside of Japan and “Holy Flying Turtles” is this game much harder than the original. We don’t know if a younger version of us would have made it through the game but I am sure a controller or two would have been thrown at the TV. The Nintendo Virtual Console version of the game is in the original classic style. We have been calling it 8 bit HD. It looks like the first Mario game but it has differences. 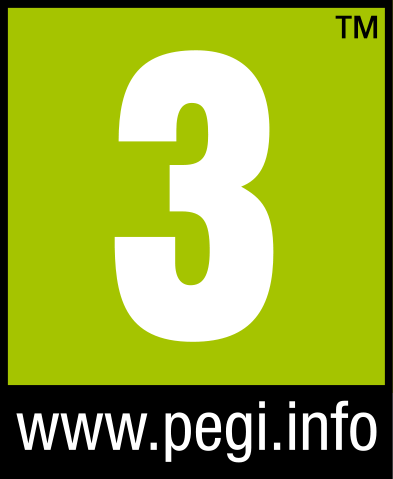 First you can play as Luigi in single player if you want which is awesome for Luigi lovers. The game also has negative mushrooms that will shrink you or kill you if you are already mini Mario or Luigi and there seems to be more secret things to find. The controls are the same as you remember and you will find warp pipes but some take you backwards to worlds you have already played. This is the game that introduces you to worlds after you defeat world 8-4. There are 20 additional levels after you “beat the game”. So if you want the true ending you have to go through all 52 levels. The levels after 8-4 are crazy difficult and a little weird at times. They are a challenge so if you are up to it or you want to find out if you still got it, knock yourself out. We did like being able to save our game, as adults most of us don’t have the time to play this game for hours and hours like we did before bills and responsibility. If you are lucky enough to find a copy of Super Mario All-Stars for the Wii, Lost Levels is on that disc and it will work in your WII U but it looks like a Super Nintendo Game and not an 8bit Nintendo game. If not then you are going to have to spend the $5 for the Virtual Console copy on Nintendo eshop because the game almost never goes on sale. It is worth it but remember the game is not easy and there are better games out there that cost the same amount.